The Play Disney Parks App just got a bit more fun. A brand new Apple Music playlist curated by Richard Sherman has been added to the app. Disney Parks Hits is a brand new Play Disney Parks Playlist guests can enjoy that features classic attraction songs from the parks. 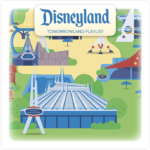 According to the Disney Parks Blog, a new playlist has been added to the Play Disney Parks app. This new collection of songs was selected by pianist, composer, and Disney Legend, Richard Sherman. The playlist is available in the app via Apple Music* – and Apple Music* subscribers can even add their favorite tracks from the playlist directly to their Apple Music* library! 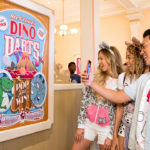 Play Disney Parks app is a free app that features interactive games and trivia to enhance in-park experiences. When guests visit Disneyland and Disney World Resorts, they can use the app to discover new things about the Parks and attractions. This app is designed to be used in queue lines at select attractions help the wait times fly by. Play Disney Parks is available to download in the App Store and on Google Play. 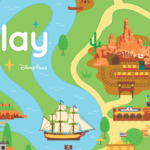 Along with games, fun historical facts, and family trivia, the Play Disney Parks also features playlists themed to specific Park lands. Guests can access these playlists from Apple Music* when using the app. 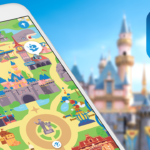 The Play Disney Parks app features more than 30 unique playlists that celebrate the history and heritage of Disney Parks. Apple Music subscribers can add their favorite Disney playlists to their Apple Music library, allowing them to live and re-live the musical magic of Disney parks at home. 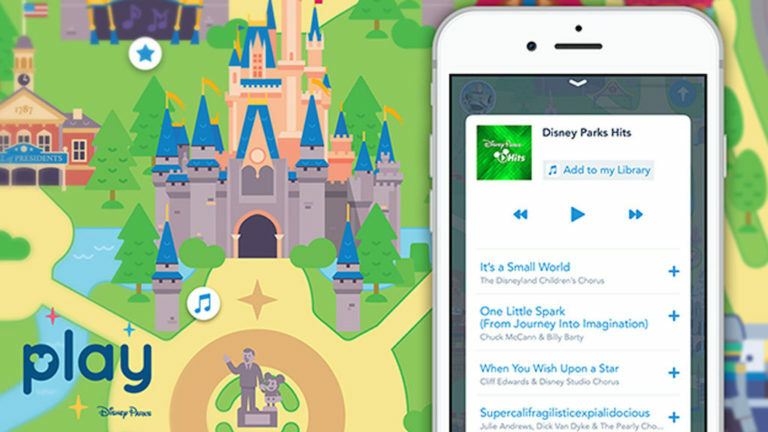 New users can sign up for a free three-month trial from within the app and enjoy full-length versions of their favorite Disney songs. Even more experiences and musical journeys set to debut in the coming months for both the Disneyland Resort and Walt Disney World Resort. Please note, message, data and roaming rates may apply. Availability subject to handset limitations, and features may vary by handset, service provider or otherwise. Coverage and app stores not available everywhere. Children under 18, need parents’ permission first. Some features require separate theme park admission.